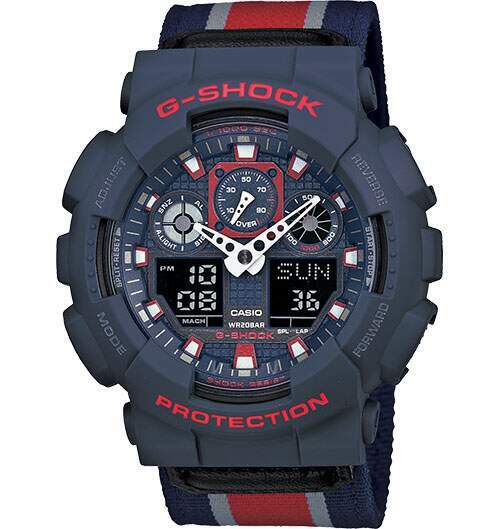 All models are magnetic resistant, 200M water resistant, shock resistant, employ a reverse LCD display, and feature , 48-city World Time, 1/1000th Sec. Stopwatch, Countdown timer , Auto LED light and of course, 12/24 hour formats for true military timekeeping. Red analog and digital watch with a black face.